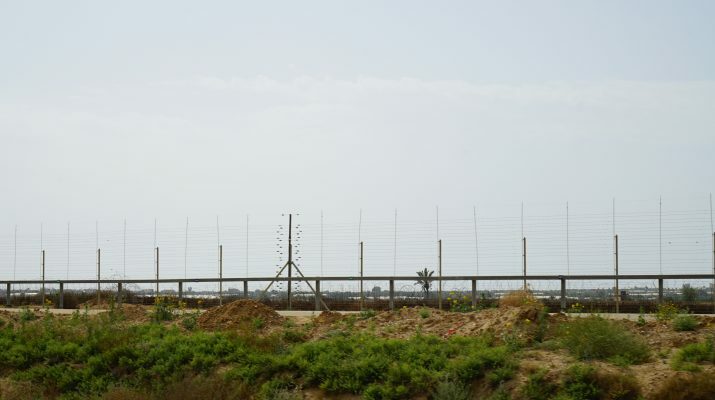 Corporate Occupation researchers witnessed an Israeli vehicle, mounted with a Combined Systems ‘Venom’ tear gas launcher, deployed by the Israeli army next to the Gaza fence, close to Nahal Oz miltary base. 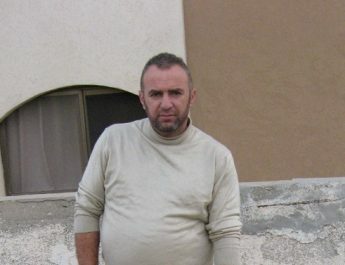 The vehicle was seen just a few days before the 14th May Great March for Return protests, in which 62 people were killed. 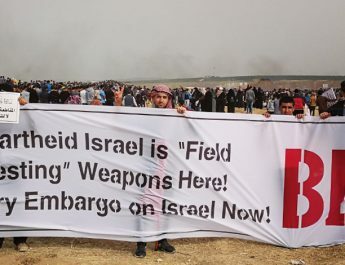 Since March 2018, Israeli forces have met the Great March of Return protests at the Gaza fence with teargas and live fire. At least 105 people had been killed as of 15th May, and another two men died on Friday 19th May from injuries they had sustained on Monday. 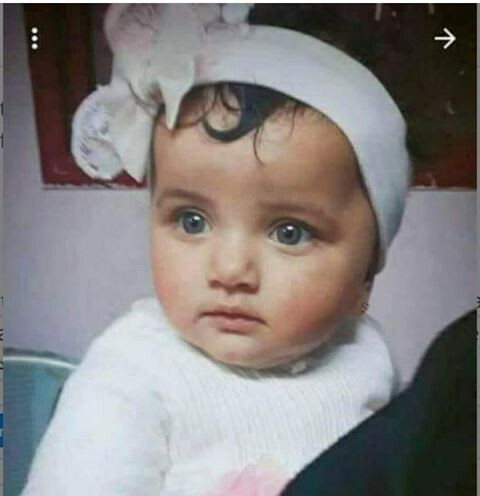 The use of tear gas against protesters in Gaza has caused hundreds of injuries, and the death of eight month old Leila al-Ghandour, who died of tear gas inhalation. 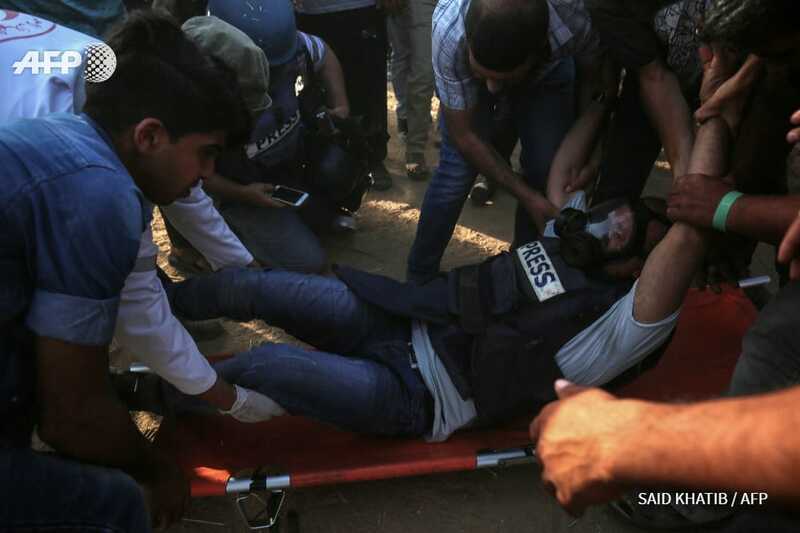 BREAKING | Palestinian journalist Ghassan Masoud was hit by an Israeli teargas canister in the head and injured while covering the continuing #GreatReturnMarch protests at Gaza-occupied Palestine separation fence. 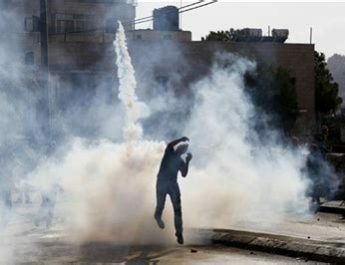 Drones have also also been used to drop tear gas on protesters, both in Gaza’s Great Return March and in this week’s Nakba Day protests in the West Bank. 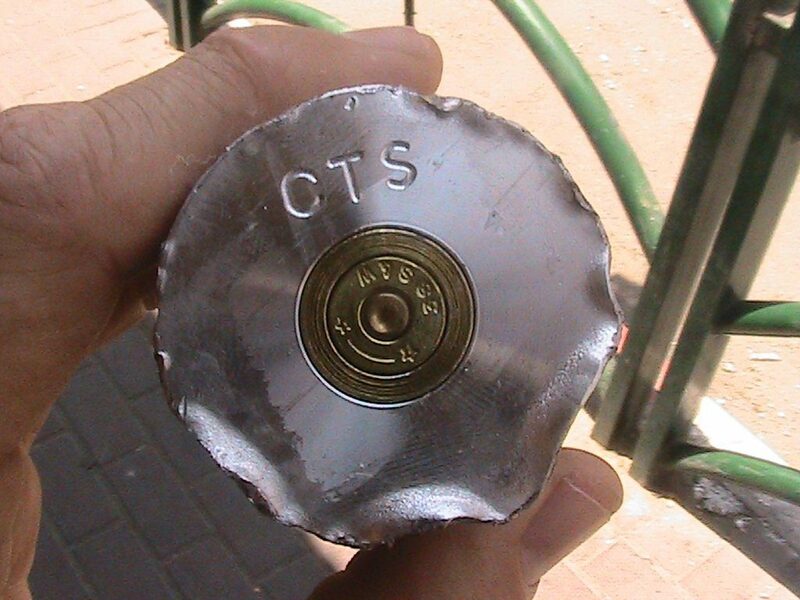 The tear gas canisters fired by Israeli Forces in the West Bank have Combined Systems’ CTS logo embossed on them. 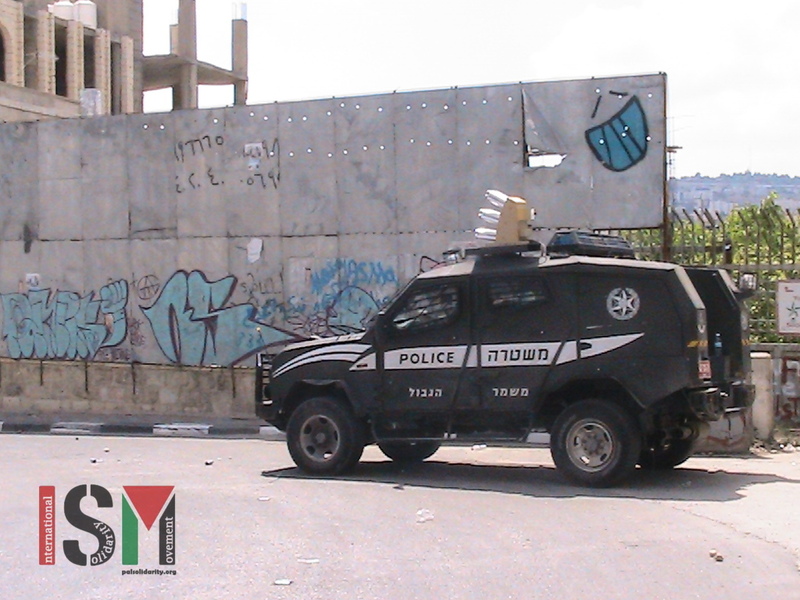 These canisters are currently littering the ground all over the West Bank. Combined Systems is a US company base in Pennsylvania, with representatives across the US.